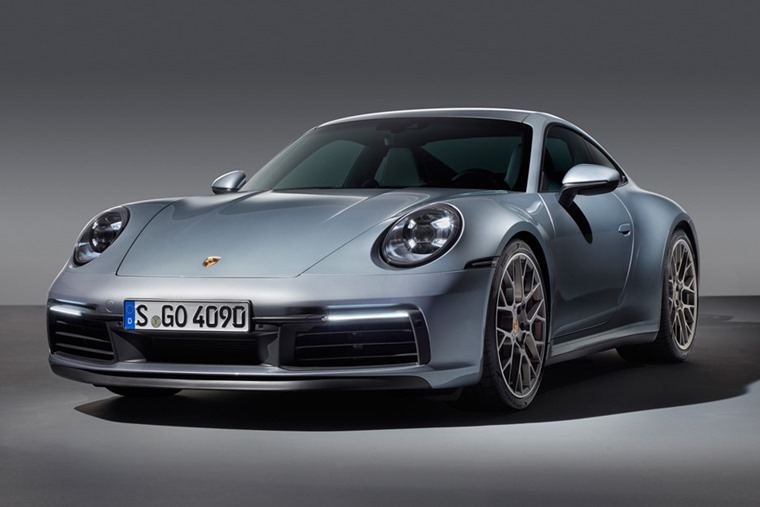 The eighth generation of the Porsche 911 has been revealed at the Los Angeles Motor Show. It ushers in more power, retro styling tweaks, improved infotainment and new connectivity tech, among other things. The 911 has always been about evolution rather than revolution, and that’s clear when you take a closer look at the new car’s exterior. Well, you don’t even need to take a closer look really; to the untrained eye it looks virtually identical to the outgoing model. 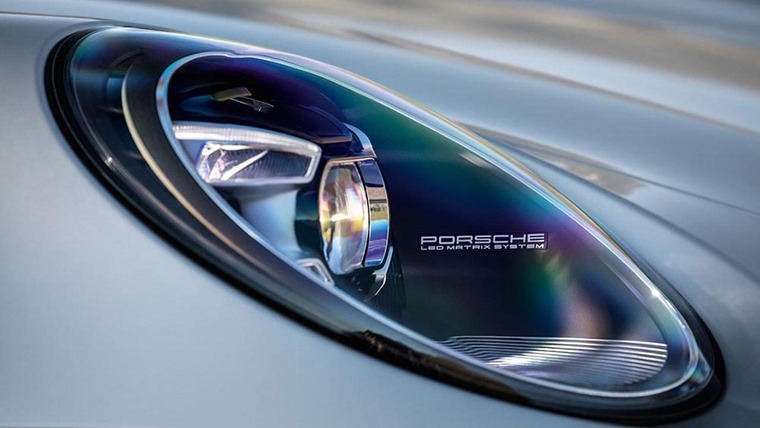 However, aficionados will see that it sports a new set of LED headlights, while the front bumper now has a rectangular central grille – a feature of classic 911s of the past. The door handles have been revised and are now flush, integrating into the door itself. That’s to reduce drag. At the rear, exhaust pipes are now integrated into the bumper, while the tail lights are now integrated in to an electrically controlled spoiler. The third brake light is made up of two LED bars that appear to make up the centre of the rear air intake. It’s longer, wider and a little taller than the car it replaces, with the bulging wide rear wheel arches now standard across the range. In fact all 992s use the ‘S’ body, which has allowed Porsche to widen the car’s stance at the front by 45mm. Inside, the most notable change is a new infotainment system that now gets the wide screen design we’ve already seen on the latest Cayenne. 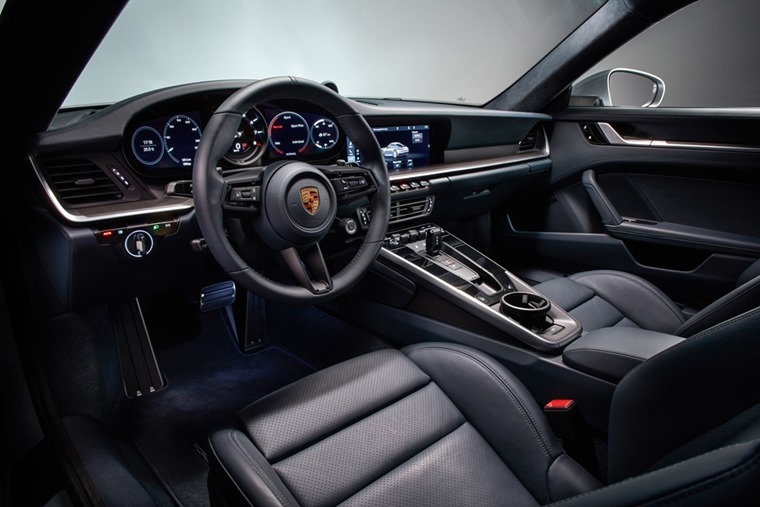 As for the driver displays, a central analogue rev counter remains – in true Porsche tradition – but to either sides you’ll now find two digital screens for the speed, satnav and drive modes/car info. The centre console is still made up of analogue switches, although you’ll now find a central cupholder and the electric parking brake switch which was previously to be found under the light switches. Other clever new tech includes a Wet Mode that can detect standing water and potential hazards and prepares the car before reaching the hazard. The satnav is now able to use online data for more accurate live traffic data, and optional extras include a night vision system and active cruise control. 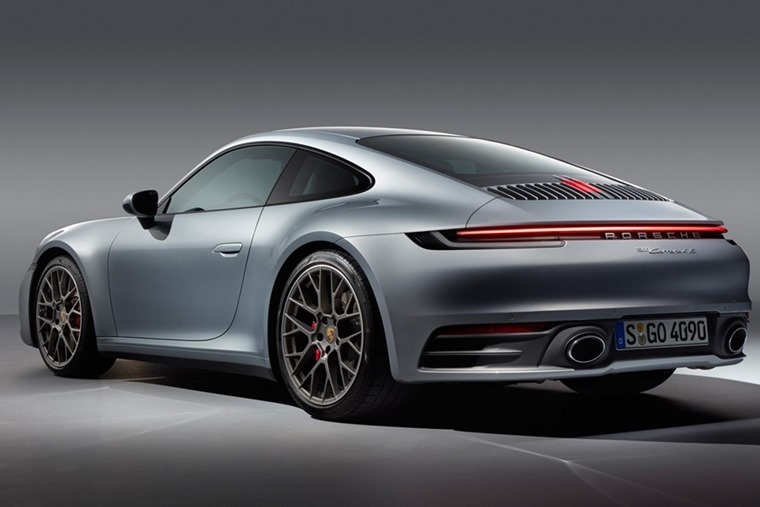 The model that was revealed in LA is the Carrera S – that’s the mid-range model of the standard two- and four-wheel drive 911. We know it features the iconic flat-six twin-turbo that now produces 444bhp and 550Nm of torque. 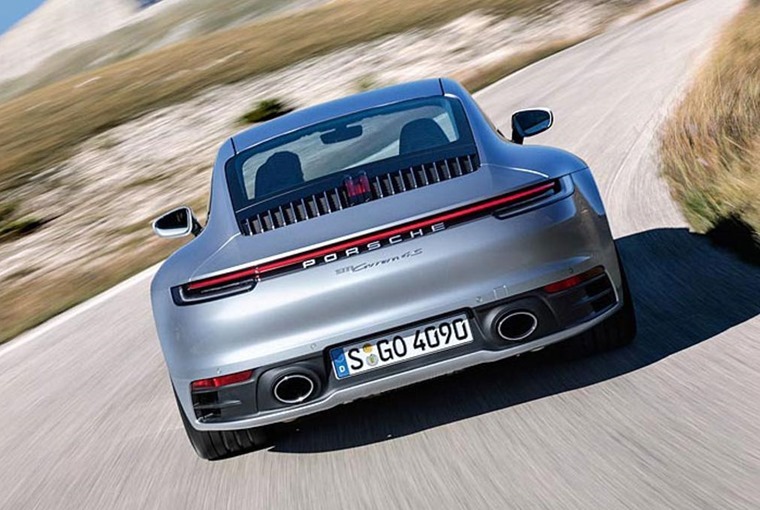 Like-for-like, that’s 30bhp and 50Nm more than the outgoing Carrera S.
This gives it a claimed 0-62mph time of 3.7 seconds and a top speed of 190mph. Spec and performance-wise, that puts it on par with the current generation of Porsche GTS that we reviewed last year, meaning we can expect performance stats for the entire range to be nudged upwards. We expect the basic Carrera to develop around 380bhp. Economy-wise, the 444bhp Carrera S can average more than 30mpg – quite the feat for such a potent engine. The hot Turbo and GT3 models are set to be revealed next September. List prices for the Carrera S start at £93,000, rising to £98,000 for the four-wheel drive 4S. 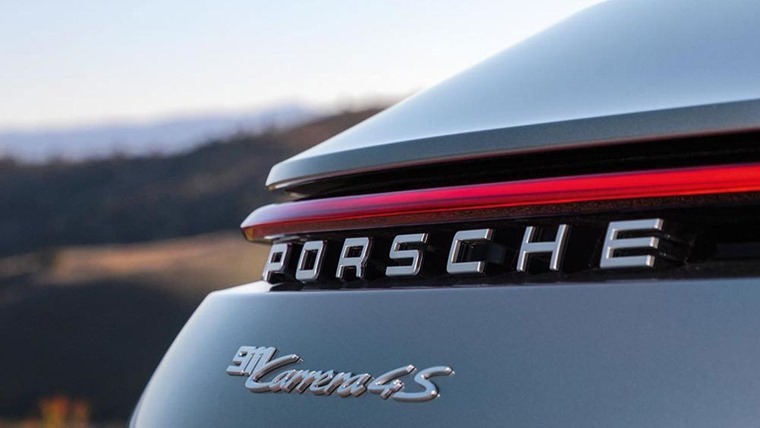 Entry-level Carreras are set to be priced from the £80,000 when it arrives in 2019. We’ll bring you more details on the range and lease rates as soon as they’re revealed. Alternatively, check out Porsche lease deals right now by clicking here.